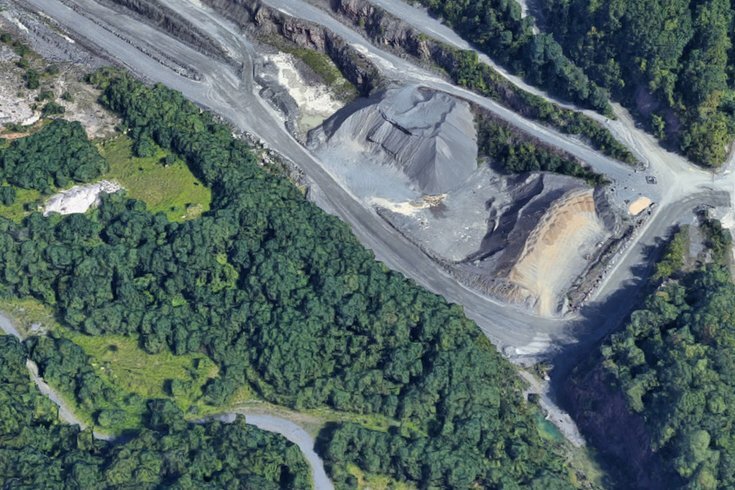 The Dyer Quarry in Birdsboro, Berks County, is scene in this image from Google Maps. Pennsylvania State Police on Sunday identified the Chester County woman who fell more than 300 feet to her death at a quarry. Elizabeth McKibbin, 27, of Elverson, was at Dyer Quarry in Birdsboro, Berks County, with five other adults and two young children on Saturday afternoon, according to police. An investigation had determined that the woman was dancing on a rock ledge when she slipped and fell down a cliff into the quarry, which was filled with water, authorities said. McKibbin was pronounced dead at the scene by Berks County Deputy Coroner Scott J. Anuszewski. Her body was removed from the water by personnel with the Exeter Township fire and rescue company. The death was accidental, state police said.